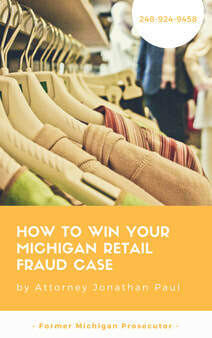 If you're charged with retail fraud in Michigan, the prosecutor doesn't trust you. The allegation is you stole something from a store, and the prosecutor will assume you were finally caught after years of stealing from multiple stores. This may or may not be true, but it really doesn't matter, because there is no way to show this isn't the truth; perception runs wild, because the prosecutor can't imagine stealing in their own life as they've kept a straight arrow lifestyle to go on to prosecute cases for a living. This is a crime of fraud, theft and dishonesty and it puts you in a negative light to the government. Prosecutors also assume these cases are pretty cut and dry; the police report says that loss prevention officer #1 observed the defendant doing X, Y and Z, and hey there's even a video of the incident. Maybe the defendant even admitted to stealing when they were caught. Wow this is an easy case, why wouldn't the defendant just run to the courthouse and plead guilty. 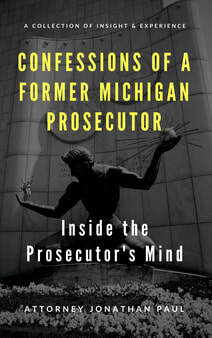 A young prosecutor may not be thinking outside the box and realize that loss prevention officers go on vacation, get fired, relocate, quit their jobs. There may be strong evidence of the crime, but if the witness isn't around, then they have no case. 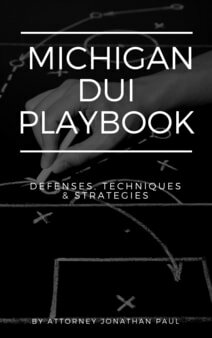 As a defense attorney, we acknowledge the perception of our audience; we acknowledge that the prosecutor believes they have a strong case and there may be no room for negotiations on the legal issue. We do our due diligence with the evidence, but we focus on creating leverage outside of the courtroom by being proactive. It's likely that the client is very guilty, and well that's OK. 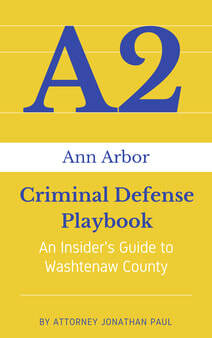 I don't need an innocent client as a defense lawyer to win the case. We need to show that this can be a valuable learning experience for my client; we need to figure out why they stole. We can't throw our hands up in the air and say "we don't know" because that's unpredictable and dangerous to toss my client back into society now knowing why they break the law, because nothing has been done to stop it from happening again. We identify the issue, and work on it. We don't run from it, we embrace the opportunity to be a better person going forward. We can't go back and change the past, but we control the present, and can project the future for the prosecutor and the judge. We tailor 3-4 proactive steps for the client that allow them to show the other side of them; it is not fair to be judged based upon a single police report. It's only one small factor that goes into understanding my client. We work with clients from all backgrounds that are charged with retail fraud cases. We tend to get a lot of nurses, educators, neglected spouses and other hard working people who at times feel underappreciated for all of their hard work. Some of these professionals aren't paid what they deserve, and part of that mental state plays a role in how the client finds themselves charged with shoplifting. Many of our clients are having issues with family, health or working under a lot of stress at the workplace. Along with the aforementioned clients, we've worked with retail fraud clients who work for the IRS as tax agents and work as medical doctors who steal baseball cards from Target. Nothing shocks us anymore when it comes to new clients charged with shoplifting. If the prosecutor and judge get to know my client while working the proactive program, they see the total person, and are more likely to go along with our course of action for the case. A difficult charge for sure, but a very manageable outcome is likely if the client is ready to work.